When it comes to supplements for relaxation, many people have heard of (or use) hormones and amino acids like melatonin, 5-HTP, or herbs like Valerian. But magnesium often comes as a surprise! In fact, it can be one of the most beneficial minerals to add to your diet, to help combat stress while gaining a whole host of other benefits. Keep reading to learn more. That’s plenty! 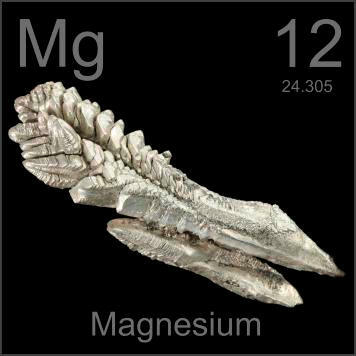 But magnesium also helps to relax the body ~ the mind and muscles ~ making it an excellent recovery supplement for athletes in training as well as a great daily relaxant for those under stress or duress! At the end of a long day, during stressful times, or after a hard workout, it might be tempting to use alcohol to relax. And it will relax you… to a point. After only a small amount, however, it’s more stressful on your body to drink booze than it is to avoid it! A great alternative is magnesium ~ especially if you can still drink it! Keep reading to learn more. The recommended dosage for adults is 250-350 mg. Be sure you stay within that range, and lean toward the lower end if you’re not used to magnesium. Taking too much can make you cramp-y and “loose,” which isn’t relaxing for anyone! There are several ways to add magnesium to your diet. The first, and most beneficial, is to add more magnesium-rich foods to your diet. Snack on seaweed or have a big spinach salad for lunch. You can also take supplements in pill, capsule, or tablet form. But my personal favorite (and this is not a sponsored plug, I promise!) 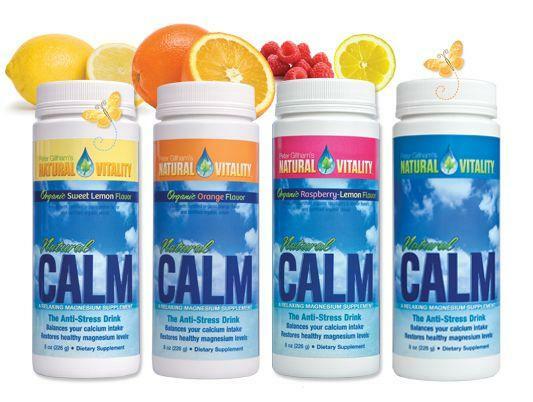 is a product called Natural Calm. It’s a powdered supplement that comes in different natural flavors and has added calcium for optimal absorption. They’re a little effervescent, and all delicious, but my favorite flavor is lemon. I make it with warm water, so it’s like tea, and drink it about an hour or so before bed. It’s deeply relaxing to my sometimes-overworked muscles, and it helps me to sleep like a baby! If you suffer from insomnia, magnesium might be just the ticket to get you through the night. It’s also been shown to be helpful for those with migraines and depression. As with any supplement, you should approach taking magnesium with caution. If you take more than the recommended allowance, you might end up with cramps, diarrhea, or nausea. If you’re taking any OTC or prescription medicines, antibiotics, or diuretics, please check with your doctor before adding magnesium to your diet. If you currently have diabetes, intestinal disease, heart disease, or kidney disease, please check with your doctor before adding magnesium to your diet. Take it easy, start small, and always listen to your body! Do you ever take supplements to help relax? Do you have a favorite bedtime ritual? This post really is so interesting! I actually have a magnesium supplement but stopped taking it because I felt I wasn’t sleeping as well…weird hey??? It’s also got tryptophan in it which promotes sleep, but seemed to be having the opposite effect. I didn’t road test it for too long, so it might have just been a fluke. The benefits of taking it sound pretty good though! haha yeh i think my body is an enigma at times!